Saratoga Saddlery is a luxury equestrian lifestyle boutique featuring fashion collections from around the world. We are passionate about the Equestrian Lifestyle, Outdoor and Ski fashion at Saratoga Saddlery. Here you will find a great selection of luxury fashion for women, men and children. We also carry an extensive line of ski wear as well as formal equestrian clothing, boots, and breaches. Saratoga Saddlery is known for their selection of luxury Leather and fur jackets for men and women. You will find fur coats Made in Italy by Gimo, Artico, Roncarati and by Nicole Benisti of Canada. As an outdoor enthusiast you can stay dry and comfortable with our Outback Survival Gear rain jackets and wax dusters. 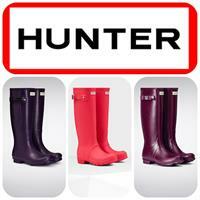 Check out our new edition of the waterproof and stylish Town and Country boots! 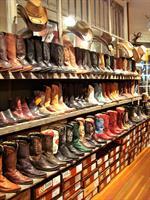 Our Lucchese and Western Cowboy boot selection is the largest in NY state. For the winter season we carry a wide selection of Ski fashion and winter clothing from around the world. We love the USA Made Brand M. Miller Ski. Discover our unique equestrian style home deco. You will find lots of great gift ideas at Saratoga Saddlery. Our team will deliver the high level of customer service you deserve. We ship free nationwide and for a low fee international. Email us at Sales@SaratogaSaddlery.com or call Toll Free (800) 430-7150.